Provided always, and be it further Enacted, that nothing in this Act contained shall extend or be in anyways construed to extend to authorize or empower the said Commissioners to divide, let out, allot, or inclose, or in any manner interfere with the several Commons and Waste Lands within the Parish of Horsell, in the said County of Surrey, or any of them, or any part of them, but that the same shall be and remain in the same State and Condition as if this Act had not passed. Common land is land that is, as the above suggests, open to all. This the general public understands but many are unaware that all common lands are nevertheless owned by some individual person or organisation . Originally Horsell Common was part of the Great Park of Windsor, in a section called King’s Waste stretching out to the (Old) Woking Road. Like most of the original Park, it eventually passed into private ownership and by 1805 that owner was the Earl of Onslow, the Lord of all four separate Manors of Horsell, Pyrford, Woodham and Woking. 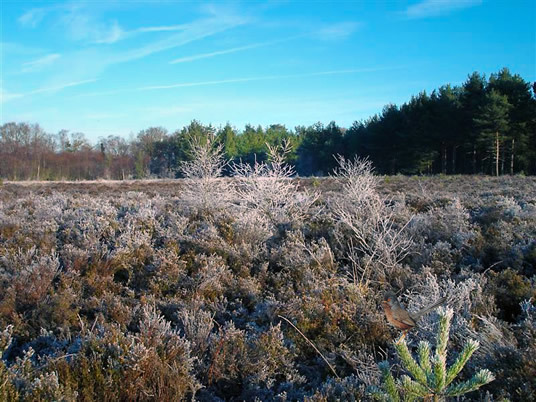 At that time thousands of common land areas across the nation were being enclosed to create much-needed agricultural land but the Earl of Onslow ensured that Horsell Common was saved by being exempted. He then sold the enclosed manors of Pyrford and Woodham to Lord Ockham, and was forced by an 1852 Act to sell all of (Old) Woking’s common land to the London Necropolis & National Mausoleum Company (who soon sold large portions on for development including a new town), but throughout he retained Horsell Manor, and with it the Common. Ownership brings difficult and expensive responsibilities however, and by a hundred years ago the ongoing task of protecting the Common without public assistance was proving too troublesome. The Earl began seeking means of transferring the land into public ownership, but in 1904 an attempted Parish vote on “whether our Commons shall be preserved and protected”, or else “left as now, to be the sport of Incendiaries, the Common receptacle of all kinds of refuse… and a camping ground for Gypsies”, was inconclusive. He therefore instigated a Trustee management scheme (the Horsell Common Preservation Committee) which held its first meeting in 1910. Then in 1947 a lease of the Common from Lord Onslow was signed with the newly formed Horsell Common Preservation Society (HCPS) for 5 shillings per year. The Society became a registered charity in 1959 and purchased the freehold of the Common’s main 748 acres 2 rods and 15 perches for £1 an acre in 1966. Since the 1980’s the Common has been designated as a Site of Special Scientific Interest (SSSI). Many birds characteristic of heathland breed within the site including nightjar, Dartford warbler, woodcock, stonechat and grasshopper warbler. In March of this year the Common gained a new international status as a Special Protection Area (SPA) under the European Birds Directive, a continuation of the process of preservation begun exactly 200 years ago. The Common extends now to some 355 hectares (855 acres), and whilst the main portion lies between Carthouse Lane to the west and the Chertsey Road to the east, there are outlying parcels of land, such as Broomhall Common (opposite Brewery Road Car Park) and Black Patch (opposite Well Path), plus small parcels in Bisley and Castle Grove, Chobham. 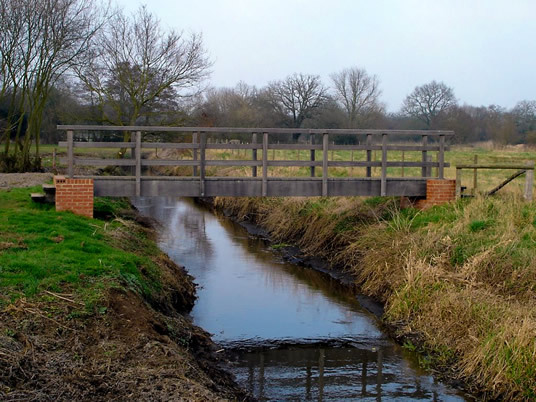 In recent years HCPS has also purchased meadow land along the River Bourne valley, thus protecting the Common proper on its northern border and extending the range and diversity of habitats under the Society’s care. This summer the Society is marking the 200th anniversary of the Common’s exemption from enclosure with a series of guided walks for members, and there are plans to produce a new booklet describing the Common, its history and its ecology in more detail. HCPS P.O. Box 53. Woking GU21 4YU.